You might not know it but your eyebrows are the frames of your face, they can add a lot of power to your eyes and can make or break an entire makeup look. However, many women are still scared to fill in their brows. When you say filled in eyebrow many think of the harsh drew on black lines a la Cruella De Vil, well it certainly doesn't have to look like that! You can shape and fill in your brows in a very subtle way so they will look natural and neat. I'm personally a big fan of this look. Since a year I've been doing my brows in a specific way and I've noticed a huge difference in pictures and have also been getting a lot of compliments! Keep reading if you're curious about my eyebrow routine! An eyebrow pencil from Catrice in the same or a slighly lighter color than your eyebrows. A non-shimmery eyeshadow or any powder in a similar color as your eyebrows. I use the color S07 of the Une palette Yeux Universelle. 1. Draw on a bottom line with the eyebrow pencil. 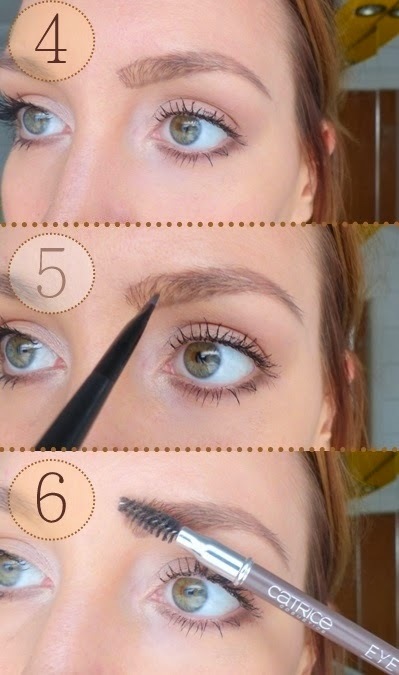 Make sure it's straight and it follows the natural line of your brow. 2. 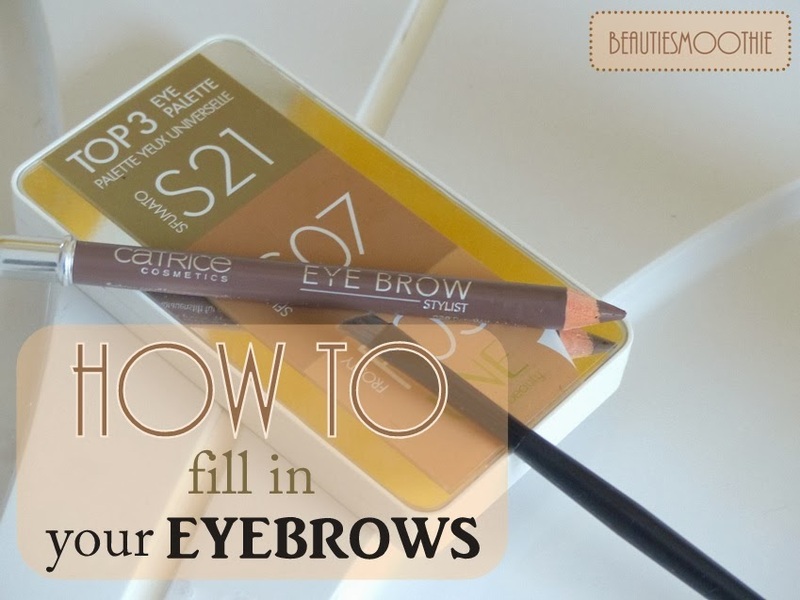 Repeat the first step but now on the top part of your eyebrow. 3. Elongate your brow. Create a sharp edge at the end of your brow using the pencil. If you don't know where your brow should end take a pencil and put it in a diagonal line across your nostril and the outer corner of your eye, where the pencil ends your eyebrow needs to end. 4. 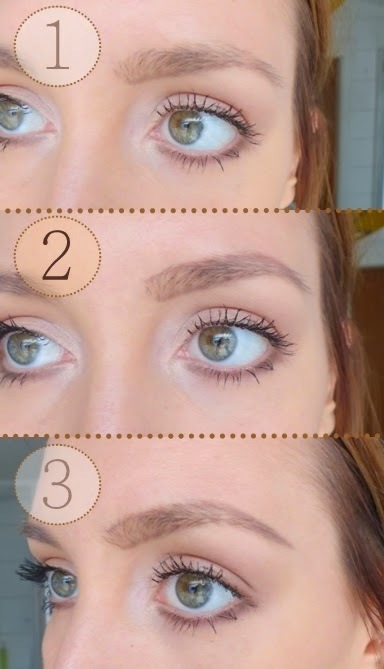 Draw a vertical line on the beginning of your brow to give it more definition. 5. Take your angled brush with some eyeshadow and start filling in gaps in your brows. Don't use too much product, it's better to build up than to overdo it. 6. Brush out the hairs. You can also use an eyebrow gel to keep all the hairs in place all day or night. As you can see my eyebrows have clear gaps. The gaps are filled in and my eyebrows have a defined shape. Sometimes I will fill them in even more, for example when I wear a dark smokey eye or when I go out and pictures with flashes might be taken. But on a daily basis I keep it soft and go for this natural groomed look!